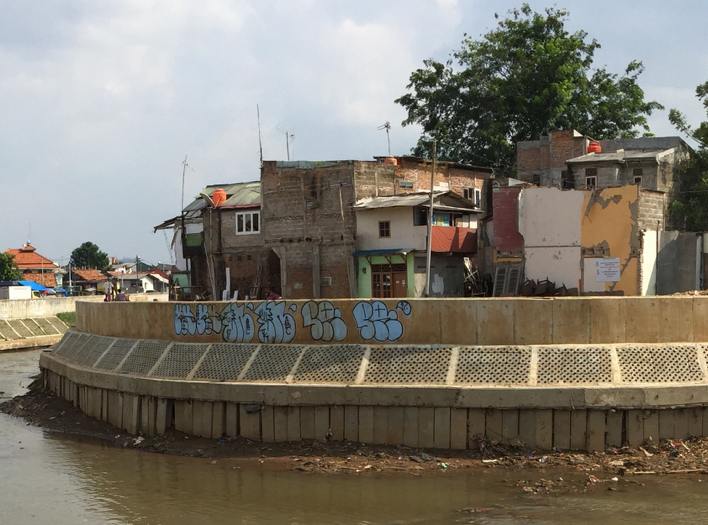 Major Indonesian cities are laced with rivers that have become key sites of contestation over urban development. These rivers are lined in part with informal settlements, often subject to flooding, and also the focus of formal development to meet the tourist market, attract global capital, and transform the image of the city. These rivers have become subject to conflicting desires to upgrade existing informal settlements, to invest in flood control, and to replace such settlements with sites of middle-class consumption that are seen to attract global capital and tourism. 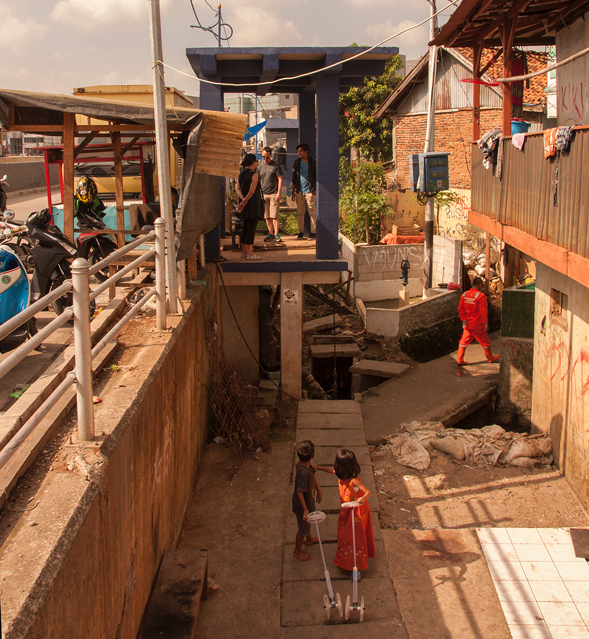 This project investigates these conflicting forces and documents the key interconnections between informal settlement, formal redevelopment, and flood control. Bukit Duri community, Ciliwung River, Jakarta. 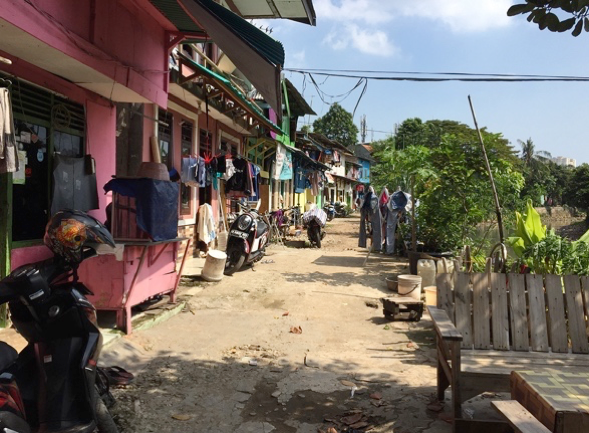 Kampung Pulo, Ciliwung River, Jakarta.